The Annandale Boys and Girls Club’s (ABGC) cheerleading team is having a bake sale and raffle with multiple prizes Saturday, Oct. 10, 9:30 a.m.-1 p.m., at Ossian Hall Park. The grand prize will be a $100 Visa gift card. Other prizes include gift cards to Duck Chang’s, Chipotle, and other restaurants. The cheerleaders will be at the park, which is across the street from Annandale High School, cheering at a youth football game. The team is raising money so the girls can participate, for the first time, in a regional competition. They went to the Alexandria Holiday Invitational Cheerleading Competition last December as spectators, and this year, they want to compete, says team mom Reina Worrell. There are 32 girls age 5-13 on the cheerleading team, although boys would be welcome, Worrell says. Anyone can join, regardless of experience or ability. There are no tryouts. 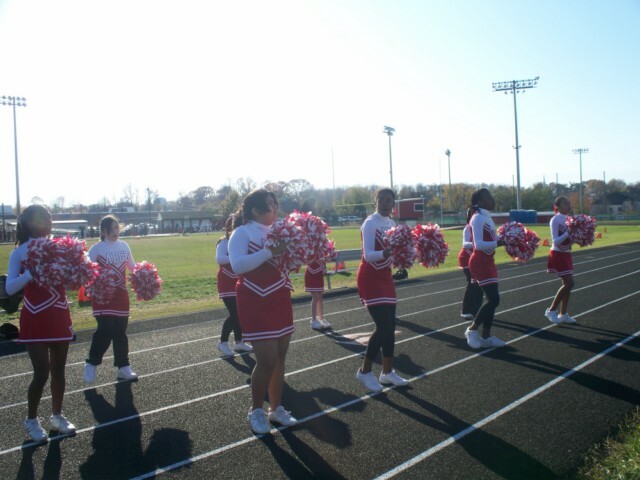 They cheer at ABGC football games and appear at community events, such as the Annandale Fall Parade. Team members are students at Columbia, Braddock, Olde Creek, and other nearby schools. Many of them hope to one day try out for their high school cheerleading squad. We hope to see you on the 23rd! If you’d like more information on the ABGC Cheer program email abgccheercoach@yahoo.com or call Joy at 703-725-0138, or the ABGC office at 703-941-4411. 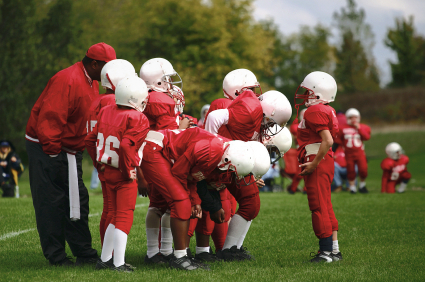 If you’ve been around youth sports, as a parent, player or coach then you’ve seen the alarming statistics on the number of youth concussion each year — 3.8 million sports and recreation related concussions each year. The risk of concussions from youth sports is being studied by a U.S. advisory medical panel as college and professional leagues have increased their scrutiny of potential sports-related brain injuries. The Institute of Medicine has begun an investigation into concussions related to sports for players from elementary school age through young adulthood, the group said in a posting on its website. The panel will review risk factors, screening and diagnosis, as well as treatment and long-term consequences, it said in the statement. The Washington-based nonprofit organization provides advice to policy makers and the public. Previous research has found that football is the deadliest sport among young athletes, and deaths may have been prevented if athletes with head injuries had been kept off the field, according to a 2011 study in the journal Pediatrics. A study published yesterday in the journal JAMA Neurology found physical abnormalities in the brains of former NFL players, when compared to peers. The IOM panel said it will review available information on concussions, especially in the context of the maturing brain, and review the effectiveness of protective equipment. The Centers for Disease Control’s “Heads Up” program provides a terrific website for coaches, players and parents to help prevent and diagnose potential concussions. “There is no one tougher than my son. Sometimes players and parents wrongly believe that it shows strength and courage to play injured. Battling pain is glamorized. Zack couldn’t swallow or hold his head up. Strength is seeing Zack stand up out of his wheelchair and learning to talk again.” – Victor Lystedt, Zack’s Dad. Do you know the warning signs of a concussion? If not, please take just a moment and find out on the CDC “Heads Up” website. We know…it hardly seems possible but believe it or not it’s time to register for your Fall Sport programs! The following ABGC Online Registrations are up and accepting your sign-up information for the Fall — Just hit each Sport’s Title to be taken directly to the online registration form. 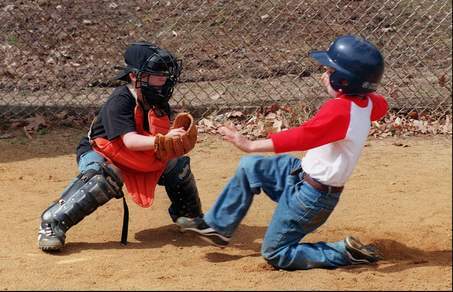 T-Ball is for Mighty Mites who will enter Kindergarten in September 2013 and for boys and girls in K through 2nd grades. The season is an 8-10 game season. Season begins in September and ends in November. Practices will be one hour after school, and games will be played on Saturday. For girls ages 5 -13, they cheer the fall football games on Saturdays and some Sundays at Mason District Park, Annandale High School, and various local schools. 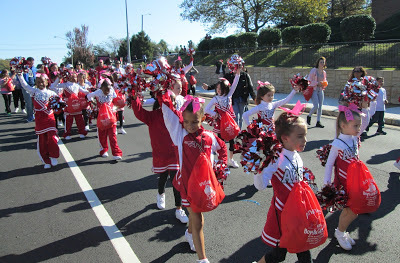 Select cheerleaders travel to PA to perform at a Bowl game, and all march in the Annandale Fall Days Parade at the end of October. Online registration is $5.00 less than in-person or paper registration to reflect savings in administrative costs. The Annandale Boys & Girls Club Field Hockey fall 2012 season will run August 26 – October 28 for players who will be in Grades 3-8 for the 2012-13 school year. The program encourages all new and experienced players to join us this fall for a series of Clinics and League Play Days. Football is open to children between the ages of 7 and 16, with each child being placed on a team according to age, weight and skill level. This ensures that each child has the opportunity to play with others of the same maturity and size so they could enjoy themselves and be successful. Each year practice starts in August with the season continuing into mid-November. Homes games are played atOssianHallPark,MasonDistrictParkandAnnandaleHigh School. 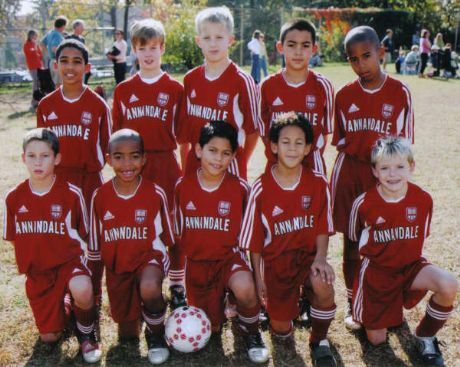 Recreation Soccer – Pre-K to Grade 4 – is for Mitey Mites who will enter Kindergarten in September 2013 and are at least 4 years old and for boys and girls in K through 4th grades. Teams are coed through Kindergarten. There is an 8-10 game season. Every player is guaranteed to play half or more of every game regardless of size or physical ability. Teams are formed on a school and neighborhood concept by grade level. 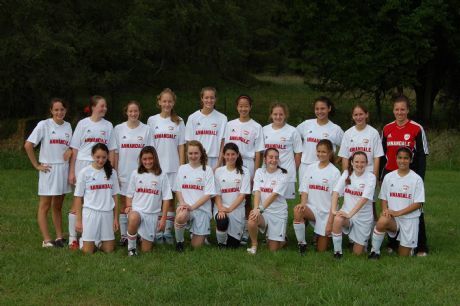 Recreation Soccer for u11-u19 (under 11-under 19) ages is for boys and girls ages 10-18. There is an 8-10 game season. Every player is guaranteed to play half or more of every game regardless of size or physical ability. Teams are formed on a school and neighborhood concept by grade level. Nobody is ever denied for lack of funds. Remember, at the Annandale Boys & Girls Club no one is ever denied access to our programs due to a lack of funds. If you have questions, give us a call at 703-941-4411. 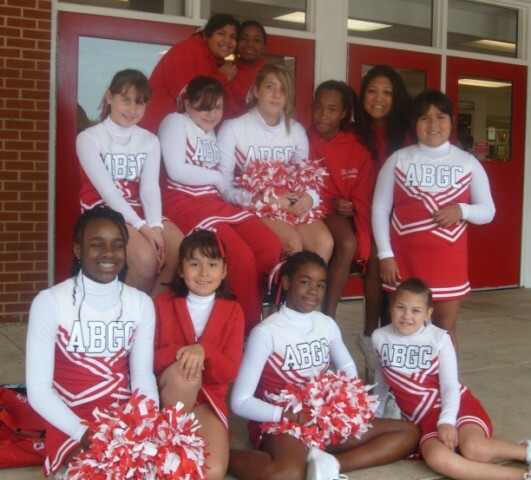 ABGC Cheerleading started in 1967 for the football program. Today the cheer squad is open to ages 6-13 and cheer the Fairfax County Youth Football League games. 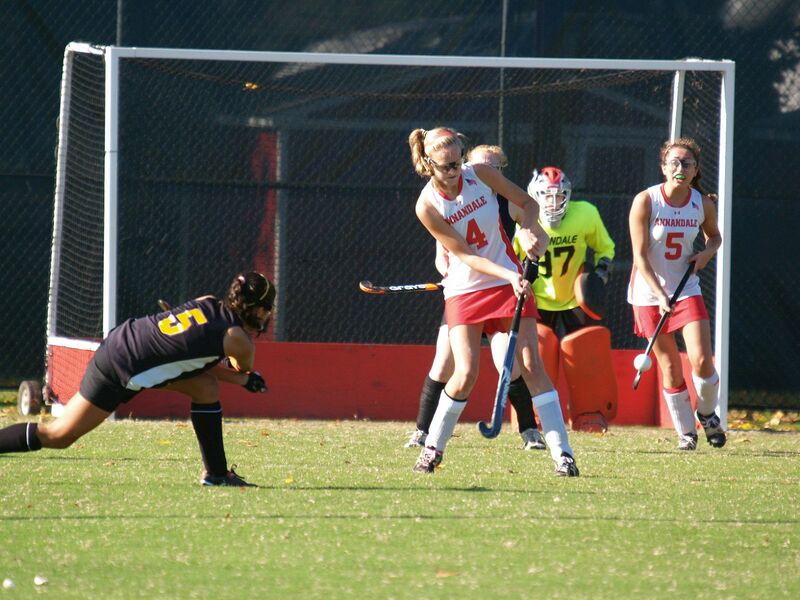 The home games are generally at Annandale High School and local fields, mostly on Saturdays in September and October. Each year in November, they participate in Performance Day hosted by Prince William County Youth Football Council. Over the last few years the squad has tripled in size and received new uniforms. Some had the opportunity to travel to Pennsylvania to cheer for a season opener game, attend summer camps and clinics affiliated with the UMD cheer program, NCAA, and Washington Mystics Mayhem Dancers. 2-4-6-8….Who do we appreciate? ABGC Cheer! 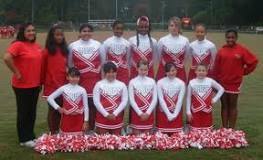 Annandale’s youth cheer squad has tripled in sized in just over 6 years. That growth has led to a vibrant program for cheerleaders from ages 5 to 13 years old. 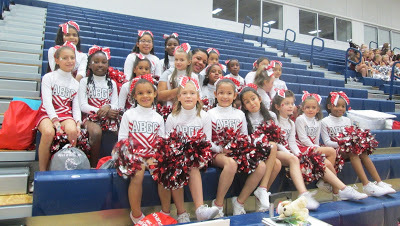 Annandale’s Cheer Squad participated in the Fairfax County Youth Cheerleading Performance Day at West Potomac High School on November 13th. Nine of our girls were chosen as All-Stars and received medals and certificates. The Cheer Squad banquet will be held December 11th and squad members will be honored for outstanding service, Squad Captains duties, and nominations will also be announced for the FCYL Hall of Fame.